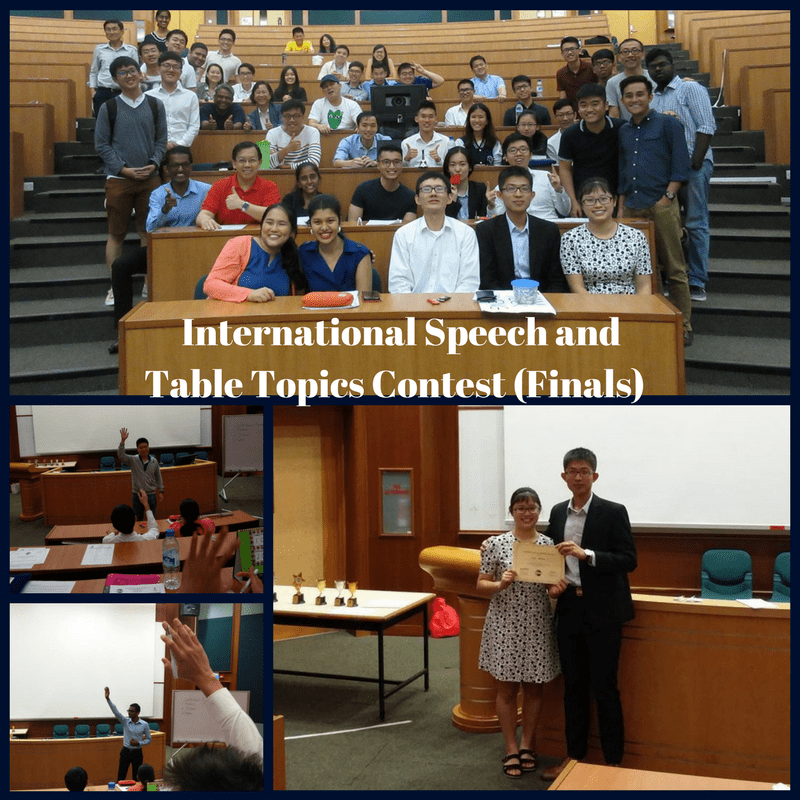 The very last day of the month marked NUS Toastmasters’ club finals for the International Speech and Table Topics contest. The torrid downpour half an hour before left the air turgid. 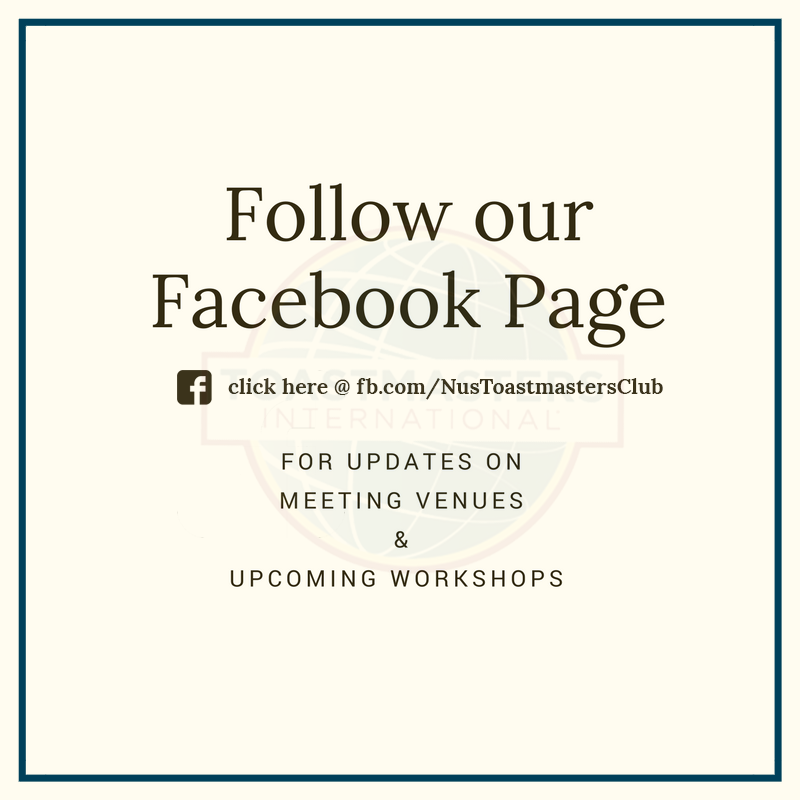 But it did little to dampen the spirits and enthusiasm of the contest speakers, judges and fellow Toastmasters gathering. As the energy of the storm outside dissipated and subsided, its residual charge built up into a buzz of excitement and anticipation within the lecture theatre. Finally, it broke, a crescendo of applause rising to greet the first words spoken by the very first speaker. Each speech a human story, waxing and waning between comedy and tragedy. Each story, a sweeping vista filled with drama, wonder and laughter. Each speaker, a matador skilfully skirting and steering the topic – sometimes taking it by its horn. The crowd, enthralled, cheering and whistling. In the end, three winners emerged from both international speeches and table topics, two of each category progressing to the area contest. It was a night to remember, thanks to organising chair Kong Xing Le and contest chair Guo Wanqi. Leaving all whetted and chomping at the bit for the next speech contest. Another quality Snippet brought to you by the Media Team, and written by fellow Toastmaster Lim Tong Lee.